Headlines over the weekend centred on the incident in Gozo where a man stabbed his former lover with a screwdriver and left her for dead. Such cases surface in the media, unfortunately, every once in a while and immediate furore follows. But what about the rest of the time, do we forget about domestic violence? This week the 2014 Annual Conference on Gender and Domestic violence is being held at the University of Malta. Many speakers of note are taking part, but I wonder if this will lead to more action being taken by the Government and the Police Department. Police Commissioner Peter Paul Zammit was quoted on ToM in January as saying that more needs to be done by way of training police officers as first responders to cases of domestic violence. We need to set up structures which can deal with such situations with immediacy, and as long-term solutions involving treatment for not only victims but also perpetrators. Agencies such as Appogg, Victim Support Malta and Soar are already doing a lot of good work in this area, but I believe we need much more awareness. Domestic violence cannot be a lurid family affair which is tolerated and lived with. Unfortunately, some individuals suffer through abuse for a lifetime and do not even realise it is that. Psychological abuse is often overlooked because violence leaves visible and sometimes permanent effects on the victim. However, victims of psychological abuse may be seen as exaggerating or being too subjective, perhaps judged as interpreting their husband or wife’s words in too harsh a manner. Yes, men are victims of domestic abuse too. I can count at least ten men I know who would laugh at the idea of being abused by a woman, but it really does happen. Throwing an object at someone’s head and mercifully missing them by inches is also domestic violence. 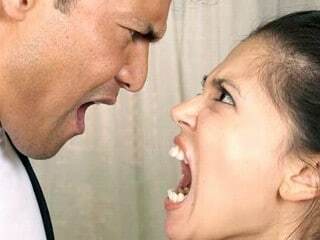 Anger is one of the main contributors to abuse, and the problem is it is not a quantifiable element. It can be innate, circumstantial, and reactive or even taught anger. With every instance of abuse, be it domestic or otherwise, there is always the question whether the perpetrator was once the victim himself, and if so, does that make it excusable? The Gender Issues Committee had taken issue with comments made by Dr Josie Muscat when he was quoted as saying something along the lines of “lots of women provoke and then run off pretending to cry”. I find this a very simplistic and banal way of explaining instances of domestic violence. It is certainly true that provoking may be actual psychological abuse, but people should take action to remedy or remove such persons from their lives if anything; resorting to physical violence is never justifiable. In November 2013 ToM stated that domestic violence had doubled in the previous 3 years, and the Malta Independent reported 1028 cases of domestic violence in 2012. What scares me from such statistics is that they are only the reported cases. I am no statistician but I would dare to say that at least 300 cases are not reported yearly – at least. Why do we keep to this culture of silence? It may be because we are afraid that people and the authorities will not believe us. That our publicly loving and supporting wife will reduce us to nothing with whispered name calling and later, in private, with furious yelling that we are useless, will never amount to anything, we might as well kill ourselves and no one will mourn our loss. That our charming husband who has everyone in fits of laughter at a party will grab us by the neck and shove us up against the wall almost strangling us in the privacy of our home after the party is over. That the usually reserved individual who never speaks out of turn will burst into fits of rage in our second floor apartment and punch us in the stomach where the bruising won’t show. Does this sound shocking? These are just a few instances I have heard about, in person. I could go on. I do have a recommendation. That gender equality and self and mutual respect should be taught as part of the Ethics subject which we have heard may be introduced at local schools. Children should be taught that no self-respecting individual should accept any form of abuse, especially not by their nearest and dearest. Moreover, we need to teach them to respect others and to understand where they are coming from. If we raise people with these values, they will be equipped with the right tools for life. The tools which will help them not become perpetrators, and to seek help if they feel they are nearing such situations. And the tools which will help them not accept being victims, and to seek immediate help to leave such a situation if they find themselves in it. Of course, there is rarely a simple solution, but there is a simple answer. Domestic abuse and violence is never acceptable, it is always a NO. « SUMMER: Anticipation or dread?